In the late 1980s the newly formed cultural television channel La Sept (forerunner of the Franco-German Arte), with the support of the Onassis Foundation, commissioned Marker to make a television series on the legacy of ancient Greek civilization in the modern world. 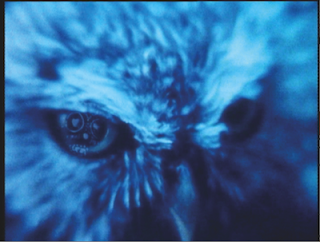 Composed of thirteen 26-minute episodes, The Owl’s Legacy is among Marker’s most ambitious projects, but because it has not had the wide exposure of a commercial cinema release, the series has garnered little critical attention. The Owl’s Legacy stages an extended encounter between Marker’s commitment to interviews and the oblique yet unmistakable intervention of his own private sensibility and preoccupations. The notion of the ‘owl’s legacy’ primarily represents the stated quest after the contemporary heritage of ancient Greece (the owl being associated with Athena, the Greek goddess of wisdom), but Marker himself can bediscerned in the guise of his favourite bird, as the different episodes of the series set out and expound, via a range of opinions and perspectives, the abiding concerns and reference points of his own work. GL: I was interested to talk about the relation between the different strands of your practice, from texts to more event based, research or discursive spaces. For instance the work that is currently on show as part of the Turner Prize at Tate Britain incorporates Otolith III (2009), the final work in the Otolith trilogy, Inner Time of Television (2007), a thirteen monitor installation of Chris Marker's television series The Owl's Legacy (1989) and artists book entitled Inner Time of Television as well as The Image in Question, a series of three roundtable discussions and screenings during the exhibition as well. AS: We have always been interested in working with the idea of integrated practice in the way that Black Audio Film Collective were thinking about the politics of making, production and distribution in the mid 1980s. In terms of how we think about our work, it helps us to present the ideas that we draw upon in public, in order to think through the connections and the divergences and to make those continuities and separations visible, audible and shareable today. GL: To some extent then I suppose that comes down to how things can have visibility, or rather the different modes of visibility that are valorised. There are a lot of works that use different other works to try and say something, because ultimately, why would you say something badly yourself, if you can use someone else’s work that’s already done that better. Or because you love that work and you want to show that to someone. Often though, this type of work can be misconstrued as part of an appropriation discourse, where showing someone else’s work is about ownership, rather than presenting another visibility or means of distribution. AS: I would say that Inner Time of Television is not a project of appropriation. We knew that The Owl’s Legacy existed so we mailed Marker in the summer of 2007. He mailed back and explained how and why the work was so difficult to see and sent us the French version and the English subtitled version. What we wanted to do was analyse why this work was made for television at that time. We wanted to formulate an argument for presenting it in a gallery context in order to think through the role played by art in relation to a cinematic encounter with philosophy in the context of television. KE: The Owl’s Legacy is a television essay, one of a small number of television essays, from the same era as Noël Burch’s series on silent cinema entitled What Do These Old Films Mean? 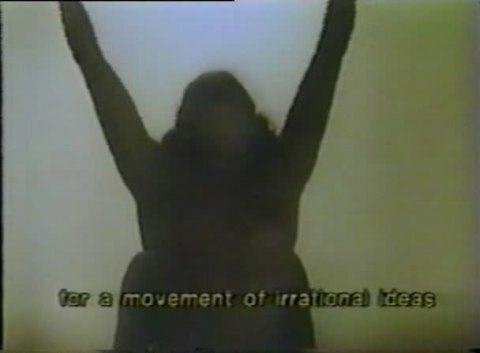 and Godard’s series of television-essays that culminates in Histoire(s)du cinema. We are preoccupied by all the forms of the essayistic. The essayistic is not a question of genre; it emerges from a discontent with the duties of documentary and a skepticism towards the obligations of what we think documentary should do. It is the name for a discontent with documentary that is registered in and through the mode of documentary.